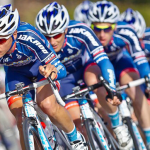 Atlanta, GA – December 16, 2014 –Wahoo Fitness, the leader in workout apps and smartphone connected fitness devices, is pleased to announce continuation as official supplier of cycling trainers to Team Sky, winners of the 2012 and 2013 Tour de France. Through this exclusive collaboration, Team Sky will be provided with KICKRs for use during the racing season, for pre-race warm up and post-race cool down, and each rider will be provided with an individual KICKR for “at home” training sessions. 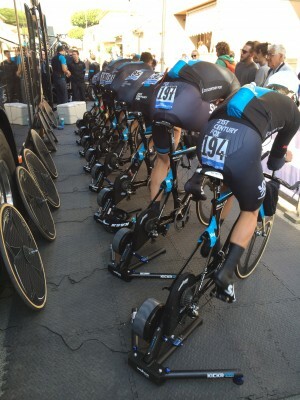 The KICKR provides the cutting edge technology and performance metrics that Team Sky relies on to monitor the condition of their athletes. Using Bluetooth 4.0 and ANT+ technology, the KICKR Power Trainer connects to a wide range of smartphones, tablets, and PCs, allowing full resistance control during your training session. While pedaling, users can increase or decrease resistance, structure interval workouts or even simulate real world bike courses all from their connected device. The KICKR’s built-in power meter delivers personalized power-based training. The wheel-off design and super flywheel have been engineered to produce an ultra-realistic road feel, equivalent to the inertia of an actual rider on the road. 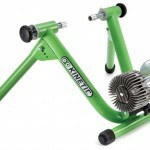 The KICKR retails for $1099.99 and is available in 10-speed and 11-speed (online only) configurations. 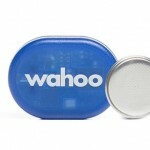 Prologue Cycling Magazine is giving away a Wahoo Fitness Cadence Sensor as part of our 12 Days of Christmas Holiday Giveaway so make sure you check out the link to learn how to enter.